Amid extensive media coverage of the 70th anniversary of the founding of the state of Israel – commemorated by Palestinians as the naqba (catastrophe) – it’s important that the 70th anniversary of South Africa’s own tragedy should not pass unnoticed. That is the election of May 1948 which brought the National Party to power on a platform of apartheid. That both events should fall in the same month is a neat coincidence given the close Israel-South Africa relationship from 1967. This was documented in detail by Sasha Polakow-Suransky in his 2011 book The Unspoken Alliance: Israel’s Secret Relationship with Apartheid South Africa. Added to this is the contemporary view among Israel’s critics that the country increasingly resembles an apartheid state. This comparison was given added weight by the recent killing of 60 Palestinians by the Israeli army, which evoked memories of the Sharpeville massacre of 1960. May 1948 continues to cast a long shadow over South African life. 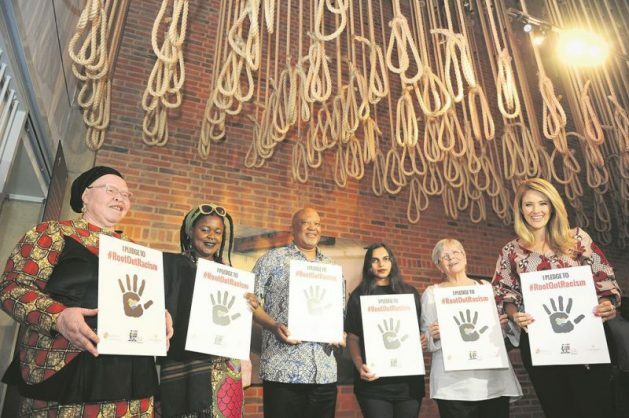 Apartheid has been removed from the statute book for almost three decades. But there is widespread recognition that a de facto apartheid endures both economically and socially. After 24 years of democracy, millions of South Africans still await change. The country may no longer be the two distinct nations – “one white and wealthy, the other black and poor” – captured in the words of former president Thabo Mbeki. The last two decades have witnessed a growing black middle class, but the disparities are still grotesque. Black South Africans continue to be disadvantaged by unemployment, homelessness and inadequate provision of such basic services as water and sanitation. They have a lower life expectancy, and higher levels of absolute poverty compared to their white compatriots. True, apartheid should not become an all-purpose alibi for failure and poor governance. And the record of the African National Congress (ANC), in power since 1994, has been distinctly chequered. But it was always inevitable that such a pervasive ideology would live on after its formal legislative demise. Even beyond the area of acute socio-economic disadvantage, apartheid retains a capacity to contaminate South African life. Voting is still heavily skewed by race and a polarised racial discourse continues around key issues such as land redistribution, affirmative action, education and even, on occasion, foreign policy. In fact, apartheid itself remains the subject of dispute across racial lines as to the scale of its crimes and how best they might be atoned for. What remains bizarre about the May 1948 election is that it was surrounded by all the trappings of a supposedly democratic society. There were discussions of marginal seats, manifestos and campaigns. Yet it was all aimed exclusively at a narrow, racially defined, white segment of the population. The overwhelming majority of South Africans were excluded on grounds of their skin colour. Black Africans, then over 70% of the population, were passive onlookers at an election which would shape their lives for generations. The National Party, led by Daniel Malan, campaigned on the platform of apartheid (apartness) which at that point was principally a slogan to mobilise white, particularly Afrikaner, voters. It was unashamedly racist and played on white insecurities by raising the spectre of the “swart gevaar” (“black peril”); amid growing black urbanisation, bringing with it the triple threat of economic competition, demands for political rights, and the likelihood of racial mixing. An almost Nazi-like emphasis on preserving the “purity of the white race” was central to the NP campaign message in 1948. This was coupled with the view that that their opponents, the United Party led by Prime Minister Jan Smuts, had no “big idea” to place before the white electorate to rival the apartheid slogan. There was also a class factor at work. The Nationalists argued that the United Party could afford to indulge in racial liberalism as its supporters were generally more affluent and cossetted than its core base of small farmers, blue-collar workers and “poor whites”. These groups found themselves at the sharp end of competition with black Africans and, in the Nationalists’ view, required statutory racial “protection” in the job market. Much of this was grossly exaggerated to the point of outright fabrication. Smuts was never a racial liberal, still less an integrationist. He believed firmly in white supremacy which, in his political credo, was uncontroversial. But crucially, Smuts recognised that the total separation of the races was a practical impossibility. It was this point which distinguished him from the delusional politics of the National Party. one might as well try to sweep the ocean back with a broom. Smuts would eventually be vindicated when, four decades later, in the early 1980s, the National Party abandoned this central pillar of apartheid doctrine and formally accepted the permanence of the urban black population. This, while seeking to build a new “reform” policy around that reality. But in 1948 the Smuts position was characterised as weak and indecisive and the National Party made political capital from such apparent uncertainty, so much so that Smuts even lost his own seat at Standerton in the then Transvaal. While the National Party victory of 1948 was undoubtedly a political earthquake, paradoxically it was no electoral landslide. In terms of share of the popular vote the party was in fact defeated. The United Party and its allies secured 50.9% of the popular vote and the National Party and its allies 41.2%, a significant disparity. But due to the vagaries of an electoral system heavily weighted in favour of rural seats where the National Party was dominant, the party emerged with 79 seats to the UP’s 71. When all the parliamentary arithmetic was concluded, the National Party and its allies emerged with an overall majority of five. This outcome was viewed by the party as a triumph in two distinct areas. First, it was considered a triumph over the English-speaking electorate and the British from whom Afrikaners had supposedly reclaimed the country to become, once again, masters in their own house. Second, and more significantly, it was considered a triumph over the black population. It allowed the National Party to begin to address the so-called “native question”. This was the prelude to four decades of racial fanaticism, ethnic cleansing, systematic discrimination and oppression, which made South Africa an international outcast and left a devastating legacy for the post-apartheid government. It is a tragedy and one of history’s supreme ironies that such a malign ideology and system – one with calamitous long-term consequences – should have been launched on so flimsy, indeed non-existent, a mandate.